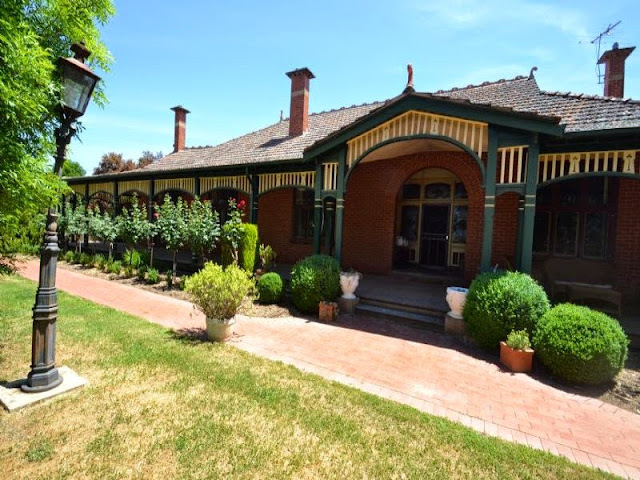 Federation Bungalow style: see this post for details. 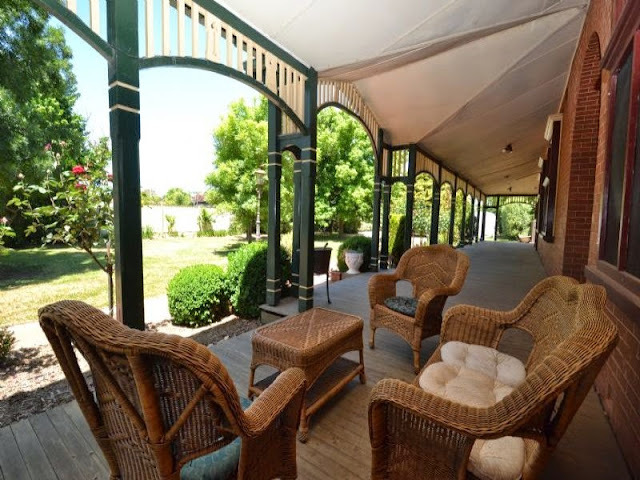 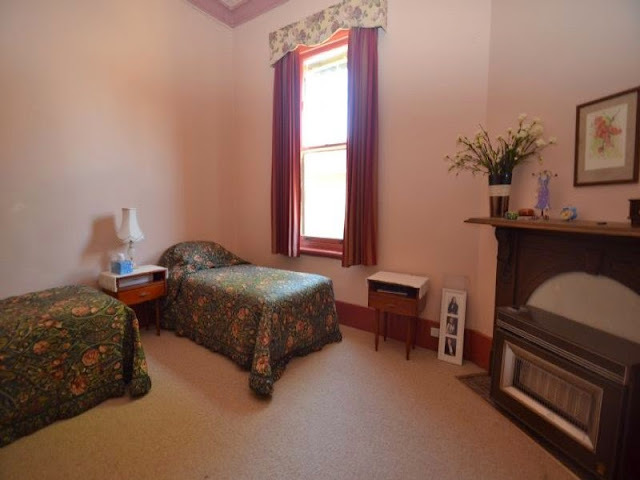 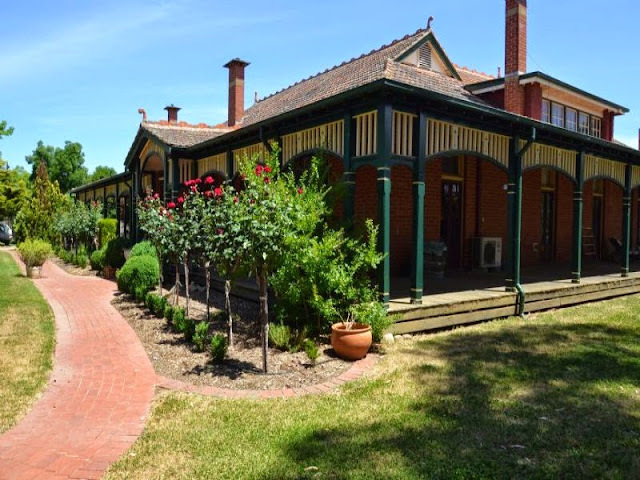 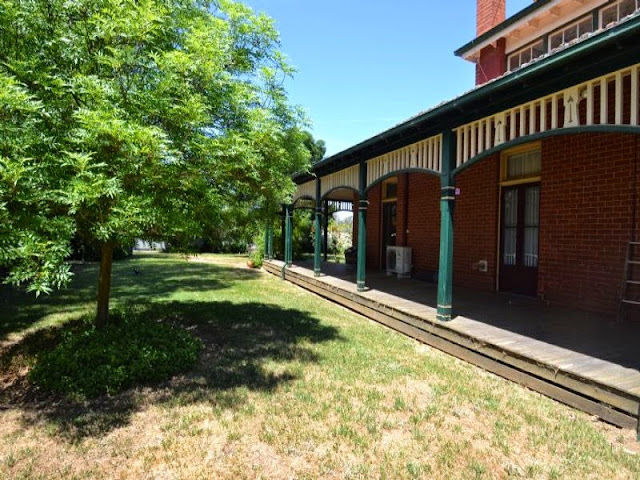 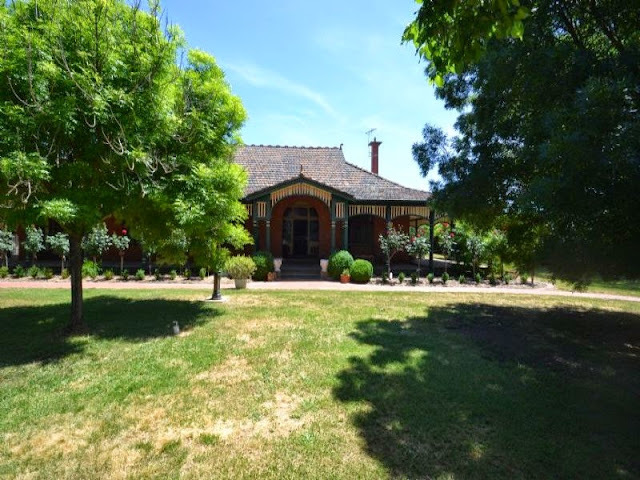 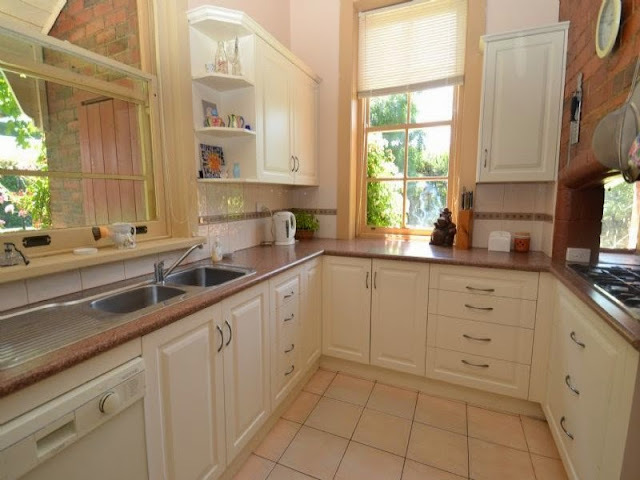 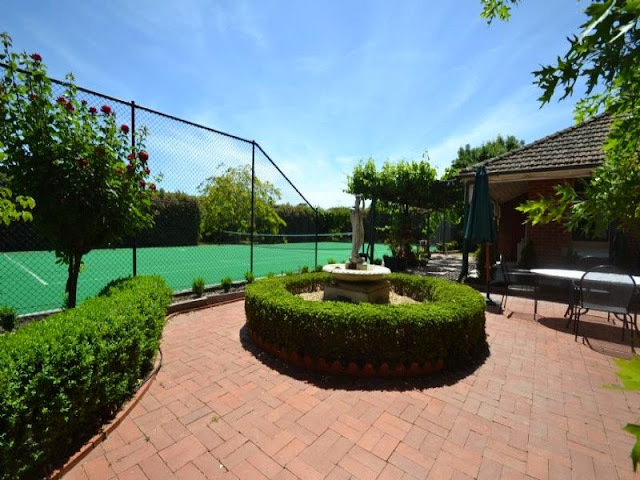 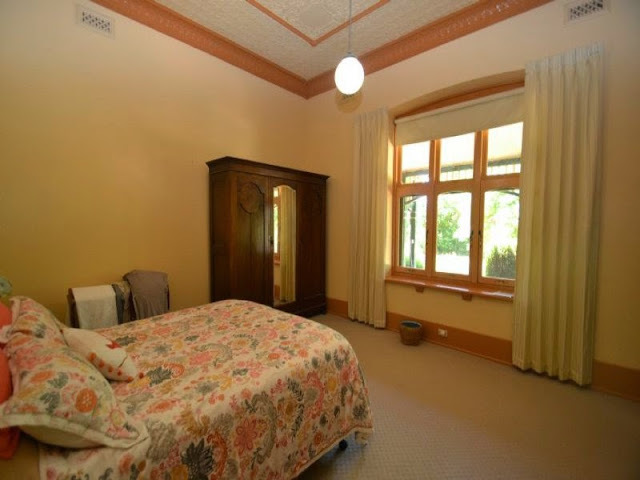 A stunning piece of history to Wangaratta and now offered for sale for the first time in 25 years. 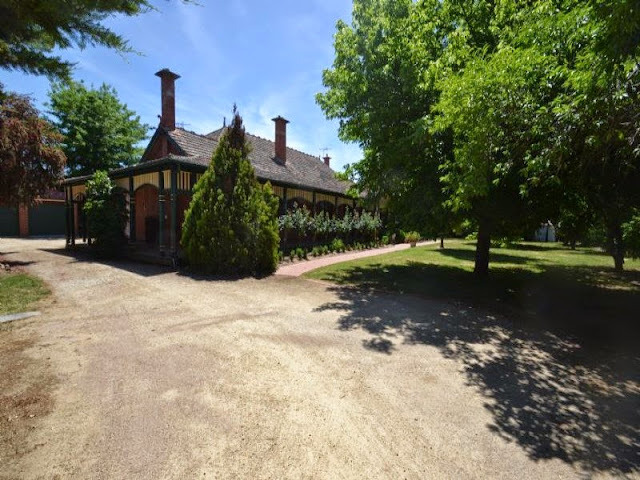 this premier property on almost 1 acre within the centre of the West End is truly rare. 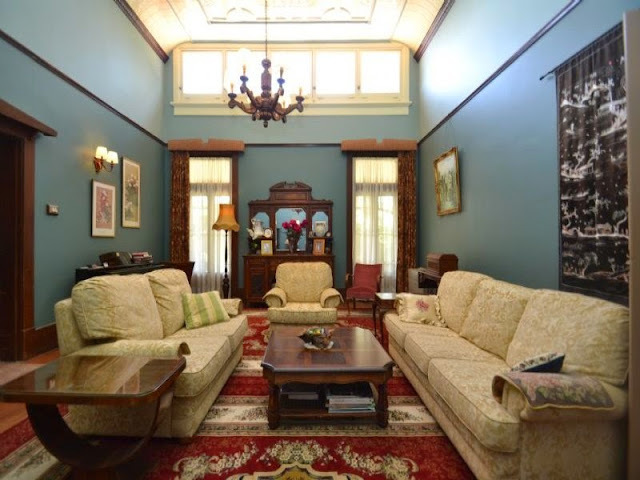 with 14 rooms featuring 6 bedrooms (including maids bedroom), formal sitting room (parlour), breathtaking full size billiard room, 2 bathrooms and 3 toilets, store room and 4 car garage. 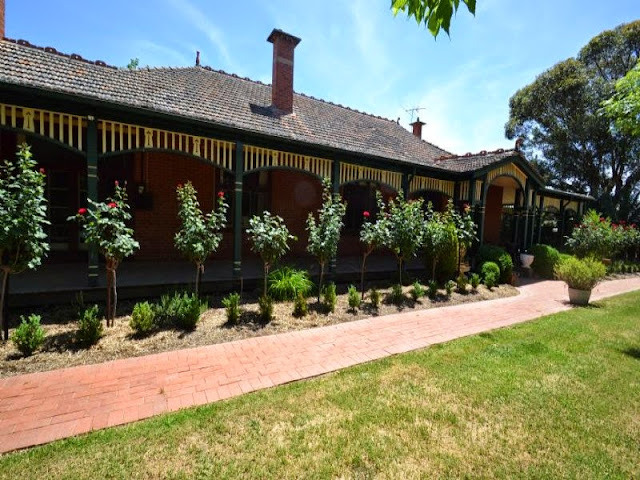 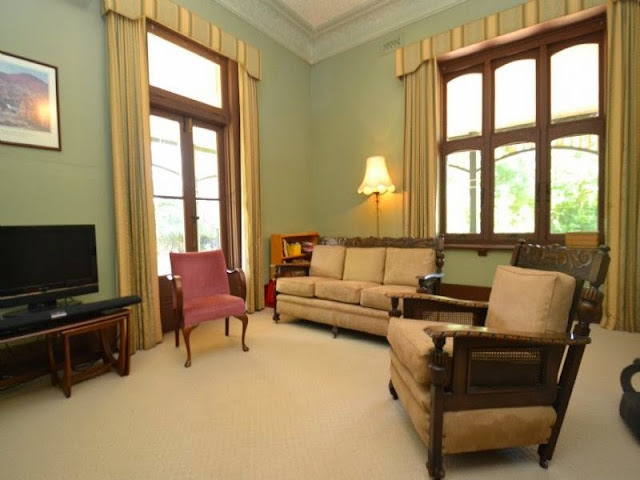 Beautiful period features include 10 verandahs, pressed metal ceilings, 8 fire places, 12-16 ceilings and expansive gardens. 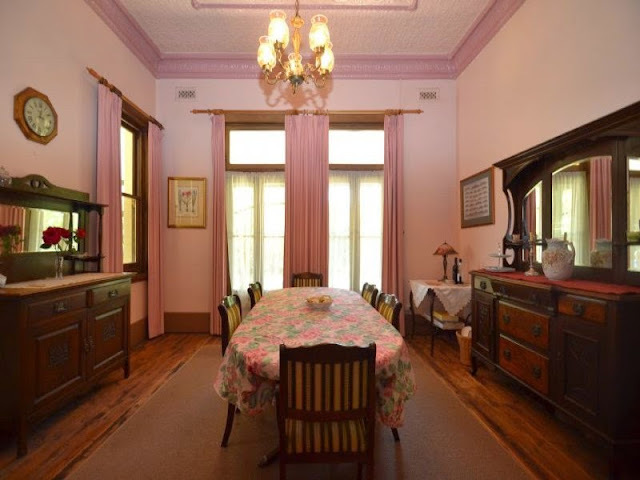 This landmark property presents a very unique and special opportunity. 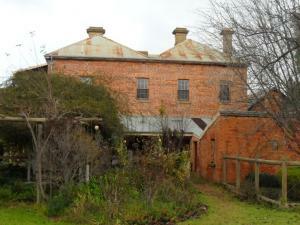 Carinya is a substantial and unique historic property, with original stables still intact. 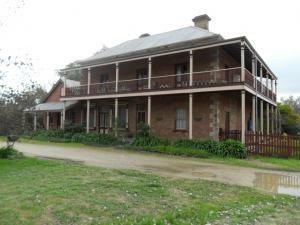 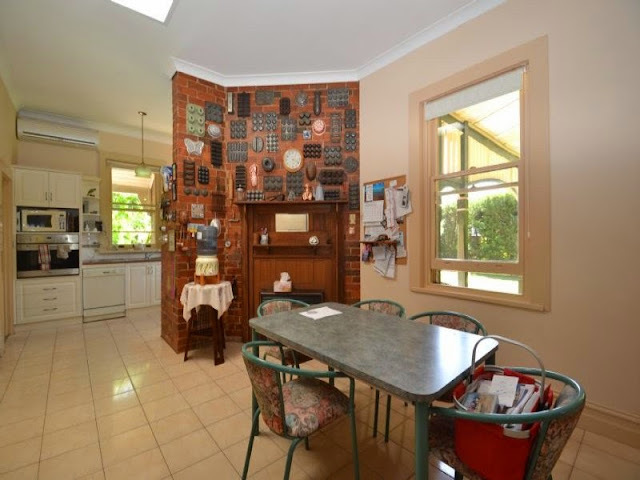 Situated on 1.5 acres with potential for sub-division.